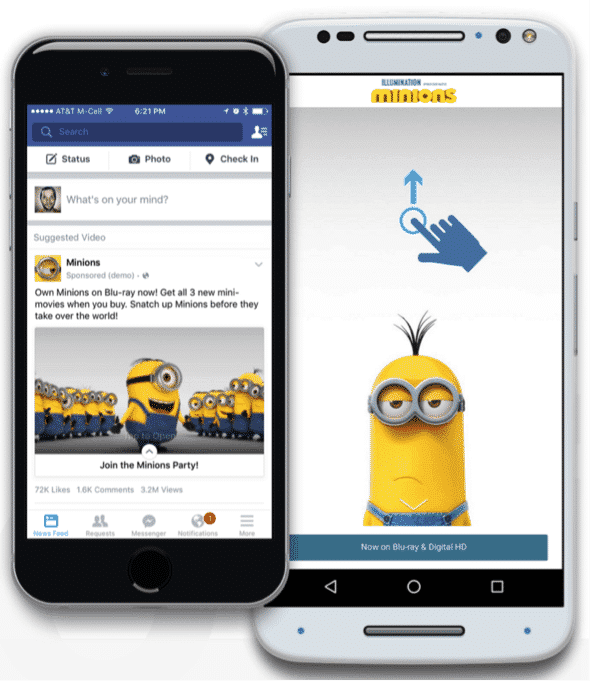 2015 was a huge year for Facebook Advertising updates. For example, we saw Instagram added as a placement in Power Editor and the introduction of Dynamic Product Ads, Carousel Ads and Lead Ads. Given the rise in mobile usage over the last few years, it’s not surprising that a lot of these updates revolve around advertising to users on mobile devices. In 2016, Facebook seems to be continuing the trend of releasing exciting new updates. 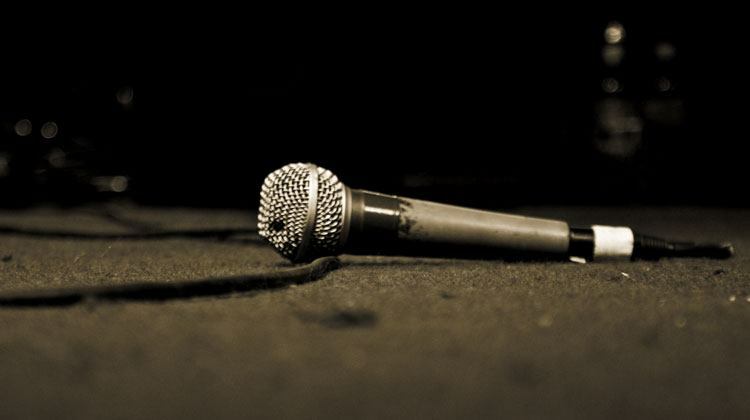 In fact, their latest major update has the potential to be their “mic drop” for mobile advertising: Facebook Canvas ads. So, what is Facebook Canvas and why is it so exciting? Let’s take a look. 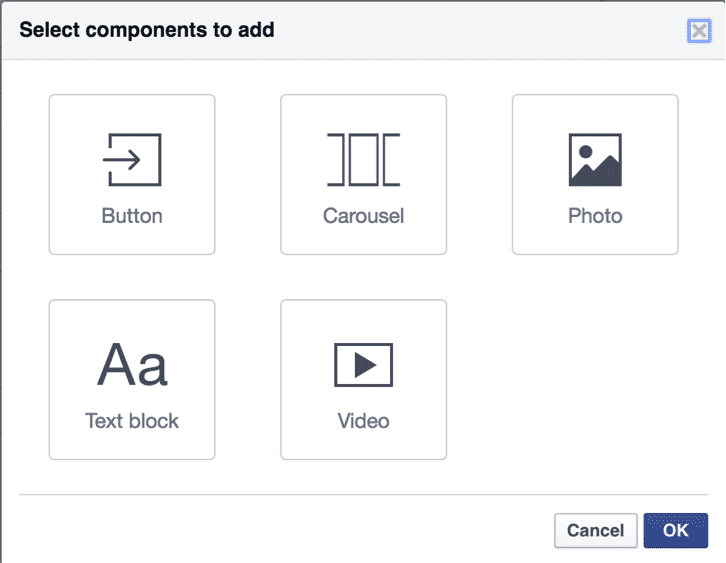 Facebook Canvas is essentially a mobile landing page for your Facebook ads. Now, I know you’re probably thinking, “Gee, Kevin, I already have a landing page for my Facebook ads. That may be true, but with Facebook Canvas, your audience never even leaves Facebook. What’s more, advertisers can create a whole experience for users with a combination of images, videos, carousels, product feeds, and more. And, because the users stay on Facebook, Canvas boasts especially quick load times, loading as much as 10x faster than the standard landing page. A user scrolls through images, video clips and carousels all with the link to purchase fixed at the bottom. You can take a look at several other examples here. How Do I Create Canvas Ads? In addition to providing a very cool user experience, Facebook has also made creating Canvas ads incredibly easy. The first thing to note is that Canvas, like most other new ad types, is only available in Power Editor. So, if you haven’t gotten Facebook’s not so subtle nudging…you need to be using Power Editor. When creating an ad simply select the Canvas option and you’re on your way. From there, click on the “+” icon just to the right of the “Select a Canvas” dropdown. This will open up the Canvas builder. The Canvas builder is very similar to a drag and drop website creator. If you have any experience in that area then this will be a piece of cake. Simply select a theme (background color), create a button (link to site / CTA), and add any additional components (options pictured below) that you’d like to include and boom, you’ve made yourself a canvas. Although it might sound cliché, the possibilities really are limitless with Canvas. You can really be as creative as you want to be here. As a result, this update has the potential to significantly increase user engagement with your advertisements. I’ve already seen several Canvas ads in my feed and I’ve genuinely enjoyed interacting with them…but then again I’m an advertising nerd. Facebook’s new Canvas ads are one of the most exciting advertising developments in quite a while and they are already making a difference for digital marketers. Thanks to their quick load times, seamless experience and large number of creative options, Canvas ads are likely to become a staple of Facebook advertising in the near future. 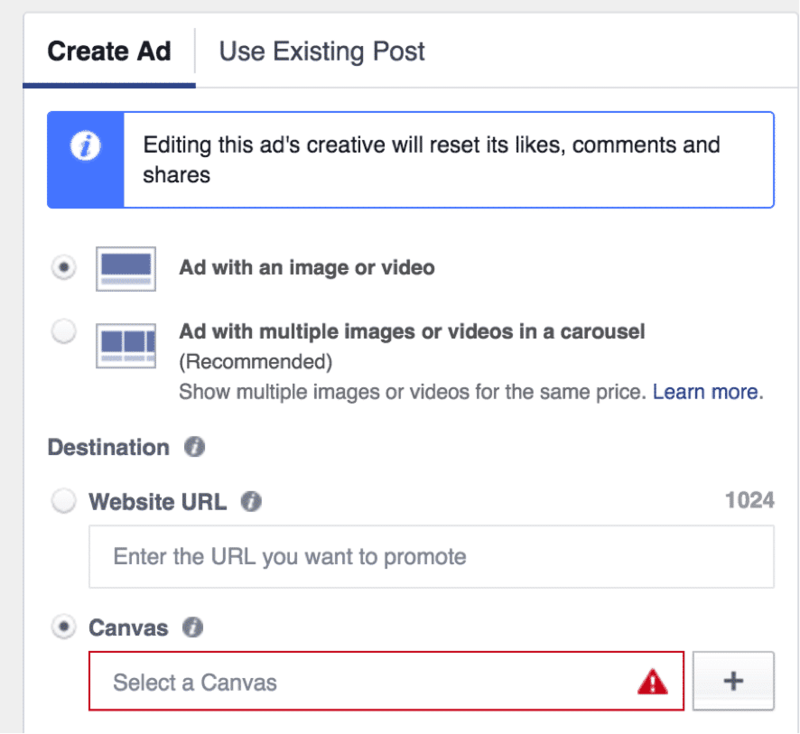 By the way, if you’d like me to help you set up Canvas ad for your Facebook advertising, let me know here or in the comments. I’d love to help! Now it’s your turn. Have you seen Canvas in action yet? If so, what are some of your favorite examples? Do you think Canvas ads will be a good option for advertisers? Let me know in the comments section!